For the first time ever, Vance carved his own pumpkin, on left. Justin and I did the one in the middle and of course we helped Vaughn with hers. She wanted circle eyes and lips. Vance decided on being a zombie baseball player. Instead of buying a jersey, I used an old hot shirt to make him one. I made freezer paper stencils using spooky lettering to say the name, small number on the front, and the bigger number on the back, and used fabric paint. When dry we shredded and made holes in the shirt. Right before heading out I sprinkled baby powder on him and his hat to make him look old and dusty. We went to a Halloween party on Saturday night. 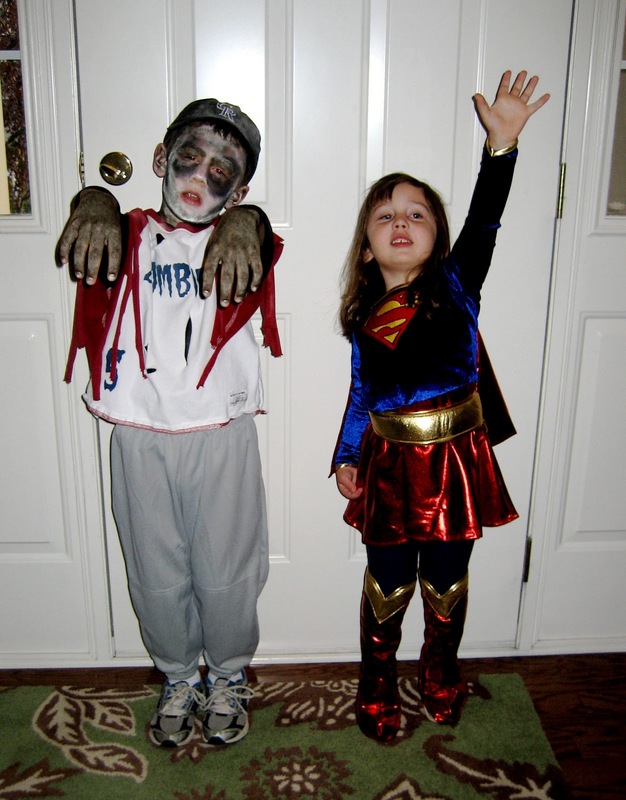 We went trick or treating on Monday night. This was the only picture that showed how stinking cute Vaughn's costume was. 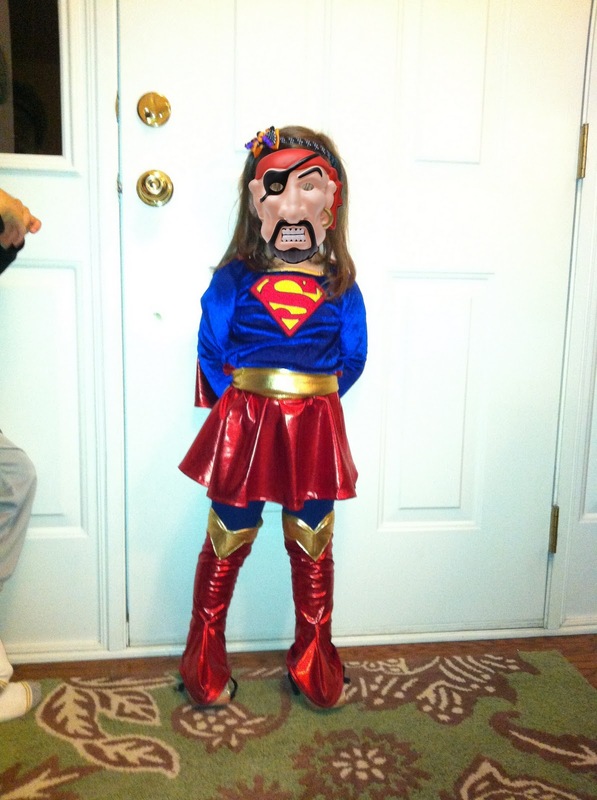 Unfortunately she was making an equally stinking looking face, so I put a mask on her. Hope everyone had a great halloween! We sure did! Again you are so creative with Vance's costume, he looked great. Vaughn looked awesome too, so cute. I am glad you guys had a good time. What did you make for dinner and what treats did you make this year? Time got the best of me this year so I wasn't able to do it up as much as I wanted too. I did end up making Mummy Dogs just because I had everything on hand and made fingers out of string cheese. We made the most of it with spooky music and lots of candles in the dining room though.